Hello my lovelies! 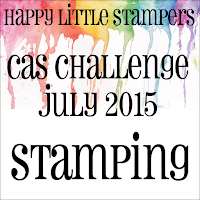 Today, I thought I'd make another card for our Happy Little Stampers CAS challenge - Stamping as there is still a few days left until it closes. Why not come over and join in? Following my decision of trying not to buy anything too much new stuff until I have used some more of my NBUS - I think we all know who started that acronym by now, don't we? - the lovely Darnell, of course, if you are new to blogging, pop on over and give yourself a treat and tell her I said to say, "Hi", she's warm, friendly, funny and will help anyone! First, I heat embossed a subtle pattern with clear, dull, WOW embossing powder with my first NBUS, a background stamp from My Favorite Things, 'Lace' and mounted it to a card base. 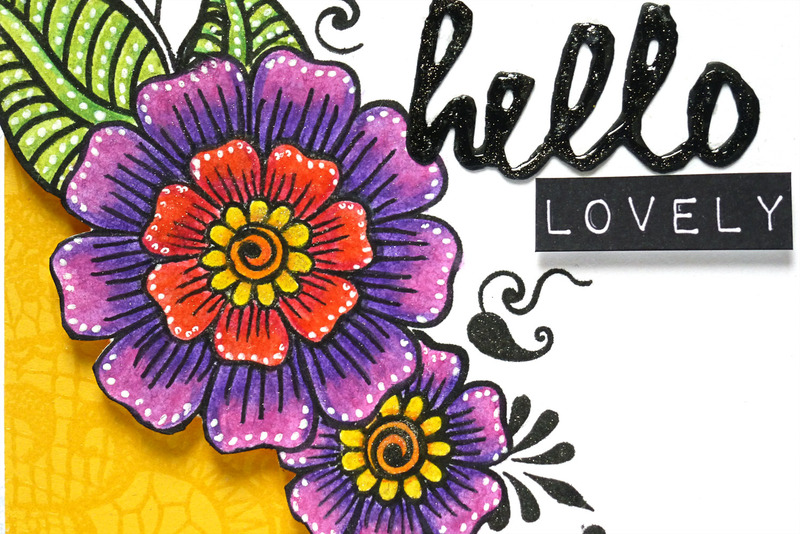 Next, I stamped some flowers from another NBUS item, Altenew, 'Henna Elements' and did some masking, to make them look like they are overlapping. Then I coloured them with Caran d'Ache pencils. To finish, I fussy cut the edge, added a die cut sentiment, covered it in Wink Of Stella and Glossy Accents, doodled a few dots, to lift the whole thing and that was that . . . two more NBUS items used . . . now to make a start on the other 9,998 items!! 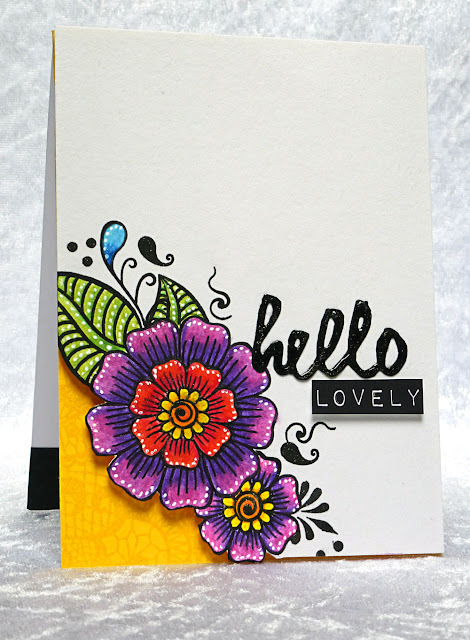 Gorgeous, gorgeous card my friend. You do well in cas style. I love it. And i also love the vibrant colours. so bright and cheery - and i love the design! I love this card. There is a colorful and joyful. Beautiful composition of the card. 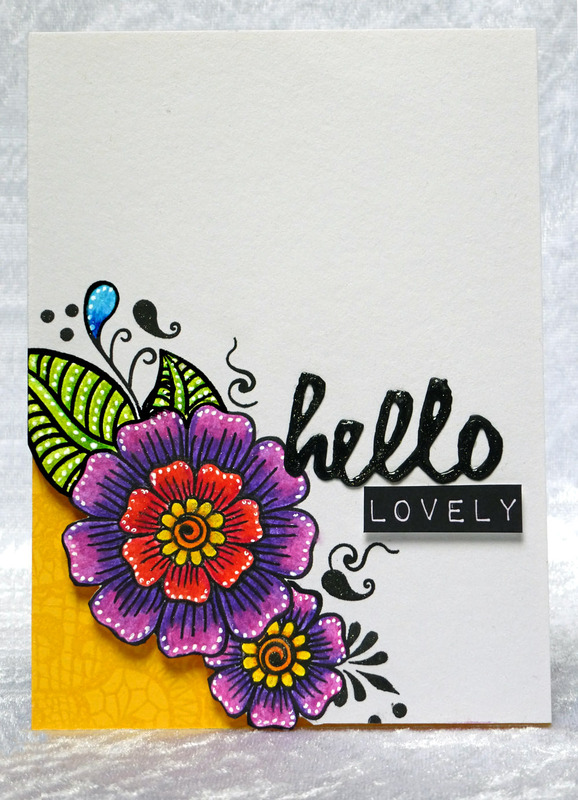 What a bright and beautiful card, Hazel! Great use of all the NBUS on this card! Love your combination of colors! Stunning, my friend. 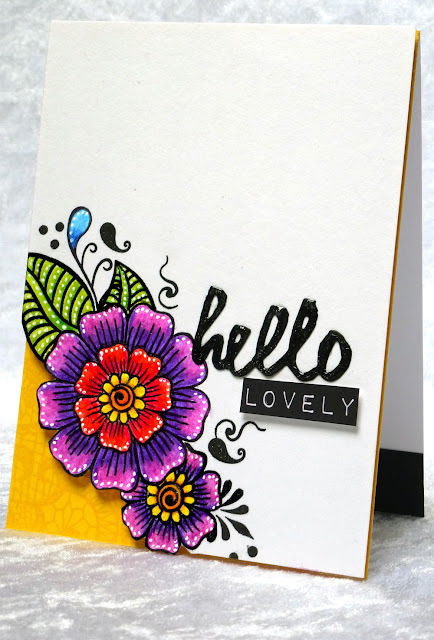 I LOVE your stamping and colour choices! You blew me away with this cheerful card! Love that yellow corner peeking out! What a gorgeous, stunning and beautiful card! Your coloring is as perfect as can be! This is amazing Hazel. The colors are so vibrant! I've got that stamp set and it never looked so good in my hands!